You’ve no doubt heard that most smartphones are moving towards the new and improved charging standard — USB-C. USB-C solves a lot of different charging problems — a USB-C cable can be plugged into a charging port in any direction, charging is actually a lot faster with USB-C, and it’s a whole lot more versatile — USB-C cables can be used with laptops with USB-C ports and mobile products. That said, USB-C is a notable improvement on smartphones, and the LG V35 ThinQ is one of those smartphones to support this new charging standard. That means you need to replace all of those old, useless micro-USB cables with USB-C cables, but don’t go buying any ol’ USB-C cable. You want to make sure you’re getting a good one, otherwise you could end up with a cheap, Chinese-made defective USB-C cable that could potentially destroy your device. If you follow along below, we’ll show you the best fast charging Type C cables that will work well with any device. Here are our top picks. First up on our list, we have the Belkin fast charging Type C cables. The company seems to have their hands in every industry, but they do make some pretty impressive charging cables. Their USB-C cables meet or exceed current USB standards, and there’s a bunch of safety features built-in, so you don’t have to worry about the cable shorting out or destroying your phone, as many cheap, Chinese-made cables will do. 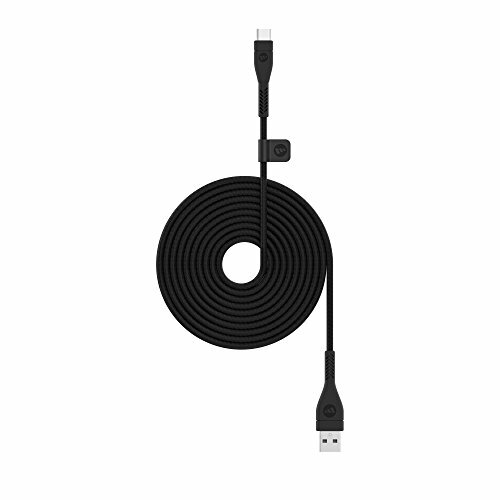 This particular cable from Belkin comes in at just 3 ft., but if you need longer length, Belkin does have multiple options. Their cables have the most impressive data transfer rates, sitting at a whopping 5Gbps. 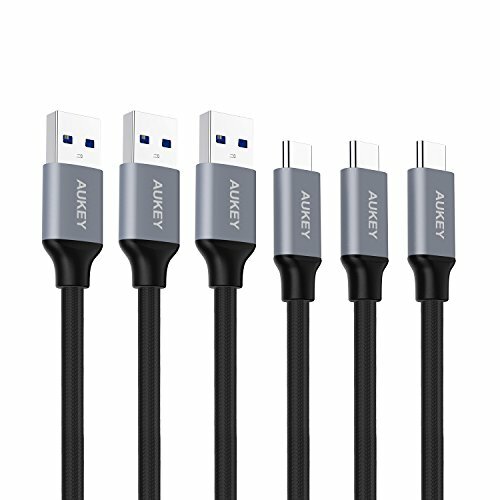 We really like the package that Aukey — another prolific maker in power products — is offering. They meet or exceed current USB standards with their Type C cables. They have a nylon cable insulation, which keeps the wires well protected for thousands of use. The value is really good here as well — for $12, you get three cables. All of them sit at just 3.3 ft. in length. They have some pretty impressive data transfer rates as well — there’s a whole 5Gbps supported here. That said, if your phone supports it, you’ll be able to fly through large file transfers. 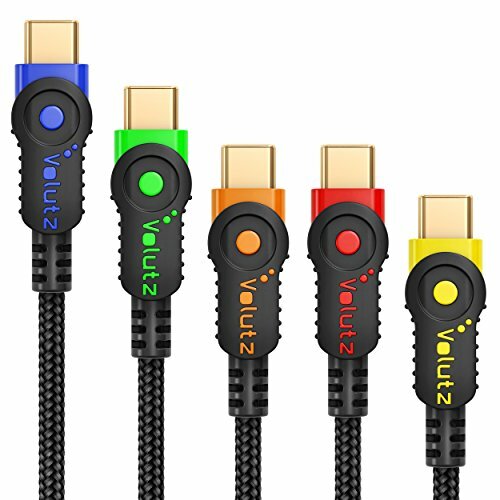 The Volutz is another impressive USB-C cable in quality and value as well. The style is a little more unique here, taking on a two-tone color set. All of the cables are black, but might have a red, green, or yellow design on them as well. They’re quite colorful and will certainly stand out from the crowd. Like we said, the value is really good — a $20 cable package gets yous five cables and all at varying lengths. Unfortunately, the data transfer rate is abysmal in these cables, only supporting up to 480Mbps. That’s still pretty fast and will transfer large photo libraries and videos fast, but not nearly as impressive as the 5Gbps of the Aukey. Anker is another brand with an excellent reputation for their power products. 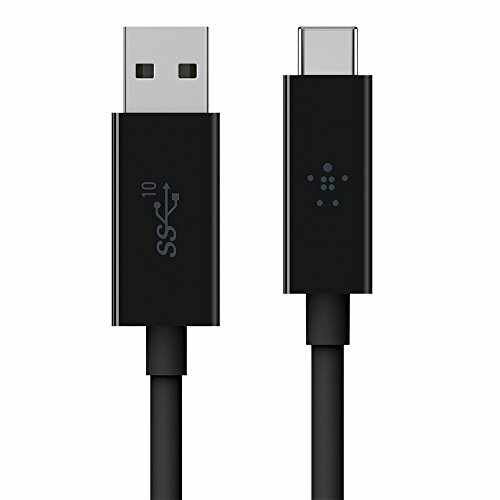 This USB-C cable is certified and work well with any smartphone, including the LG V35 ThinQ. You only get one cable in this package, but you can choose the length that makes the most sense for you — 3 ft., 6 ft., or 10 ft. While you get one high quality cable in this package, it does come with a hassle-free lifetime replacement warranty. If it ever breaks, Anker will replace it no questions asked. But, on top of that, their cables have some pretty impressive data transfer rates — around 5Gbps. And with reinforced nylon insulation, you’ll use this cable thousands of times before a replacement is needed. Mophie’s cable is last on our list, but it’s actually one of the best that you can purchase for your smartphone. Mophie is known for their quality power products, and their USB-C is just as exceptional. Now, it will set you back $25 for just one cable, but you know you’re getting something high quality that will last you forever — no longer do you have to worry about constantly replacing USB-C cables due to some malfunction after buying this one. 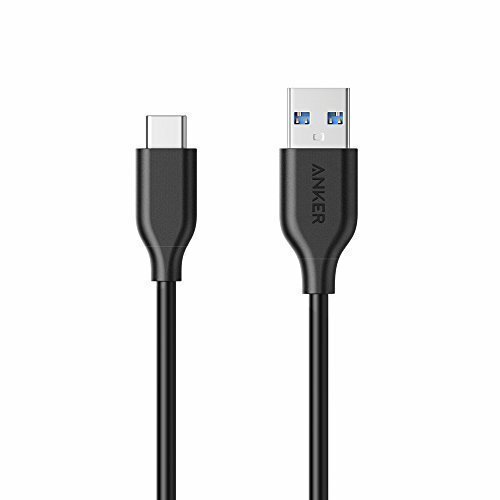 There are seemingly thousands of USB Type-C cables that advertise fast charging. However, you have to be quite careful as to what you buy, as not all of them meet the USB-C manufacturing standard, which could prove dangerous for your smartphone. That said, any one of the five we listed here are all certified and will work with your smartphone quite well.